I thought that I knew a thing about running in South Africa when I’d completed 10 Comrades, 5 Two Oceans, cross country, 10ks and many, many marathons. However, arriving in the UK about 10 years ago, I realised that we have that most wonderful thing here called the Public Right of Way. 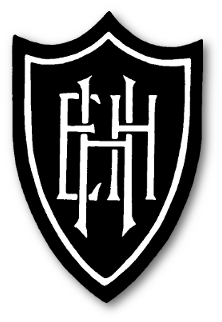 We can run until we are tired, and then run some more – all off road. It was this off road running that led me to go further, explore Chester, Wales and the Lakes. With Dave Douglas who has inspired from day 1 (“Hi, I’m Dave, let’s do 20 miles tomorrow” in snowy Feb!) and my new found running mates, I discovered how tough one has to be to run in British weather, how beautiful the countryside is and that you can do this all relatively injury free. 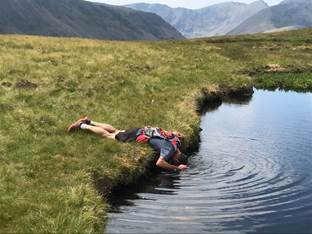 So, it should not surprise one that after running around most of North Wales, the Lakeland 100 and 50, the words “Bob Graham Round” were spoken, investigated, caused fear and sparked that internal bucket list we runners carry. Living in the North and realising that the South beckoned while not getting any younger, I decided 2018 was my turn. The BGR is more about the journey than the actual destination. Recces to learn the route, best racing options, when to run at night, how to pack, logistics, parking, water points, weather conditions, supporters, kit, shoes, Lords Rake, Broad Stand rope or Foxes Tarn and to overcome the Giants that loom on leg 4 are part of that journey. With a decent Facebook page, finding partners becomes a bit easier. 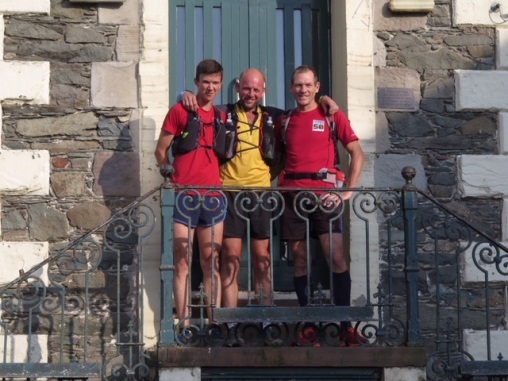 So, I set out opting for the early evening start with my Hull mates Danny Jones (who decided he would run along with me, doing his BGR at the same time) and our Captain Matty Hayes. Up Skiddaw, Great Calva and that slog up Mungrisdale common to Blencathra saw us running carefree and ahead of the 22h30 -23h00 schedule. Popping down the super steep Halls Fell, making sure not to “Fell” we met locals Craig and his mate Simon who would take us through the night over the Helvellyn range. 11pm. Clough Head is a slog, but as the route was packed with other attempts, we kept our pace. Fairfield is a mental challenge as it’s loose rock underfoot and an “up and back”. We did get the most glorious perfect peach shaped moon though. 3 am. Matty and Simon looked after our packs and surprised us taking them up Seat Sandle. All good, I was thinking. Nearing Dunmail Raise at Checkpoint 2, I felt decidedly queasy and soon all that energy drink decided “better out than in”. I felt green and noticed the concern on Matty and Craig’s faces. How was I going to get through this? A cup of tea and rice pudding in Chester’s Dave’s camper at 2.30 am and much encouragement from London based Max, we set off. These checkpoints were taking a bit long, I thought! Up Steel fell at a brisk pace and over the tops where everyone feels the pace is too slow. It’s usually not! Calf Crag, Sergeant man and over to High Raise. Max checking I was nibbling on that banana and sipping my water. “What would you like to eat now Jeff?” “Dunno”, I muttered. “Ok, I’ll run ahead and prepare yea a banquet”. A banquet? No sooner had Max laid out all of his food stores on a picnic blanket (!) than that banana and all my hopes was strewn on the early morning grass. Now what? I lay in a foetal position thinking it was “Game Over”. No. The boys had travelled so far; the supporters were there for me; I’d put so much preparation into this. Man up. You know that body fat us runners all carry around with us? Those hidden stores in your ear lobes? Well that must of seen me through the next hours over the Stickles and Pikes, up Bowfell (doing a new route not recommended and partly because of my fading brain cells), Esk, Great End, Ill, Broad Crag and eventually up to Scafell Pike. Here I lay breathing like one about to expire and remember saying “I’m so tired”. Danny laughed and took a photo. Dave said, “Let’s go”, Max said ”Any more of my (prized) jelly?” Losing significant altitude coming off Scafell Pike to get to Scafell is another mental challenge. This challenge makes one decide to opt for rocky Lords Rake rather than Foxes Tarn. Scrambling on loose scree downhill and then shouting “Rocks below!” uphill, one eventually pops out on top of that beasty we call Scafell. Time for a rest, check the view, photo and then choosing the worst route off the top down the steepest decent of the round. Wasdale below – and I mean “below”. Down the scree slope with rocks bashing your ankles we went, down, down until the legs ached followed by a fresh wash in the stream. Running into Checkpoint 3 – Wasdale, I met my favourite supporter, Ruth, whom I had primed not to show any sympathy or comment on how I might look. She helped me get some rice pudding and custard down. Ade joined us having travelled from Hull. Dave and Max decided that leg 3 wasn’t enough – so let’s do leg 4 too. With water bottles filled up, we set off at 10 am. Up my nemesis – Yewbarrow. A 44 min slog straight up in the baking sun. Here is where things started to go awry. Max decided he would be the water buffalo and loaded himself up with a good few litres. This, plus the heat etc. slowed him down. Dave hung back to help, but as most hills in the Lakes have many false summits, I soon lost Max and Dave. Over the top Danny, Ade and I went. Eventually slogging up a higher, but easier gradient Red Pike, Dave caught up. Max, knowledgeable in these hills would look after himself, I hoped. Ade was urging us along. Steeple is an out-and-back peak jutting off the main massifs. I met Danny starting this when I returned. He didn’t look good. Ade hung back and I caught up with Dave. Up and over Pillar and way down the other side we saw Ade ahead. Danny’s knees had packed up and they met Max who would take care of the situation. All good. We kept our speed and found a better line up Kirk fell (not the gullies which spooked Dave and me on a previous recce). Relentless climbs up and down with loose rocks and heavy underfoot. The sun was doing his job well. One custard down to help the energy. Nothing else would work. I remained very worried about the “food in” part. A “blow” was surely looming. Great Gable, the last impending giant, is one huge climb followed by the similar painfully slow, near vertical decent to Pillar and Kirk Fell. Ade reminded us to pose for a photo with the plaque remembering those who had fallen in the Great Wars. With the hardest climbs under our belt we moved onto Green Gable. A stop to cool my head in the only tarn with water, followed by a roll over and moan was met with a laugh and a kick to get me going. Dave was enjoying this! Brandreth and Grey Knotts with a steep long decent into Honister saw leg 4 done. Here I was met by Richard, my old running friend from Chester who literally put a West Cheshire vest on me way back when and said to join their league team. My last leg supporter couldn’t be found, so poor Ade was voluntold to do leg 5. A quick food stop and I was still on the 22h30 – 23h00 mark. Up Dale Head with 7 summits, Hindcarth and the long path to Robinson. Peak 42 at 4 pm. All good. We picked our way down the smooth rocks and eventually descended off these peaks. Racing now along the valley floor, poor Ade’s lungs had too much oxygen. Richard and Dave now met me at Newlands church for the 9 kms tar home. Running at a healthy pace we worked our way into Keswick. I found my 2nd 2nd wind and found myself rushing through town, stopping the traffic and weaving thru the Saturday market. I raced up those Moot Hall steps at 17:13 – 22h03. Elated, but kicking myself over those 3 mins! That’s it. Fill in the ratification form, get it approved by the secretary and you’ve completed the Bob Graham round. I joined the 24hr BG club. There’s no pomp, medals, T shirts. It’s just you and your memories. I think, because such a not-big-deal is made of the BG, it’s such a big deal. A huge thank you to all who supported in so many ways. Job done. The views remain for another visit, but at a more sedate pace? Welcome to running in the UK. Now, did I see a Public foot path down that road?